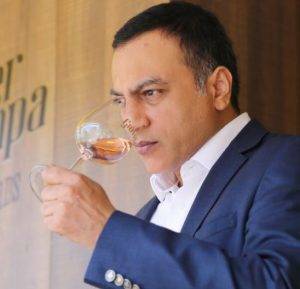 20th April, 2018 â€“Â Vivek Chandramohan has been appointed as CEO of Grover Zampa Vineyards, India’s oldest winery, which over the years has won numerous awards including Winery of the Year 2017 at Sommelier India, the country’s premier wine magazine. According to a company releaseÂ justÂ received, Vivek Chandramohan comes with close on 26 years of Alco-Bev experience. He started his career at Citi Bank in 1995 as a campus recruit from Bangalore and then moved to Bacardi-Martini in an entry level position. Responsible for brands like Bacardi, Bacardi Breezer,Â Glenfiddich, Grants and Grey Goose,Â Chandramohan worked in the company for almost seven yearsÂ rising to the position of senior regional sales manager liaising closely with the national marketing and international teams. Following stints at AB InBev at a regional profit centreÂ level and at Modi Ilva (Illva Saronno,S.p.A â€“ Italy) as their National Sales Manager, Chandramohan joined Grover Zampa Vineyards at their Mumbai Head Office early in 2012 in a lead sales role,notes the company release. Rising to the position of Vice President of Sales & Distribution, his significant contribution to growing salesÂ (over 10% CAGR volume growth) and professionalising the team led to his appointment as Chief Operating Officer followed rapidly, within 6 months, to his present job as Chief Executive Officer.